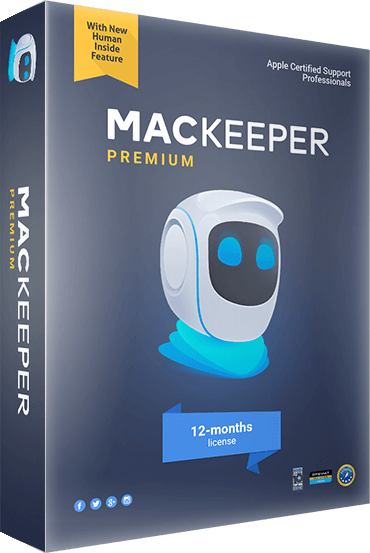 MacKeeper Antivirus Review 2019 - Is It a Scam? MacKeeper is the source of much debate in the computer security and clean-up world. While some of its features may be useful, this aggressively-marketed software is likely to cause serious performance problems on your machine rather than improve it. The former company behind MacKeeper also recently faced a class-action lawsuit after allegedly convincing users to pay for unnecessary computer fixes. While some might consider the company's prior actions to be a scam, the new owners of MacKeeper have made efforts to repair the tarnished reputation by improving the software somewhat. Nevertheless, we still recommend that Mac users looking for extra protection steer clear of MacKeeper and use TotalAV antivirus instead. MacKeeper is a utility for Apple computers designed to speed up your machine and protect it from malware, phishing, and ransomware. It claims to work as an antivirus and adware blocker while also rooting out unnecessary files, apps, logs, and other data on your computer for deletion. MacKeeper is available in three different plans: Basic, Standard, and Premium. Basic and Standard offer different pricing for monthly or yearly licenses, while Premium also offers support access to an Apple Certified Professional. While full of features many users might find useful, MacKeeper ultimately has too strong of a reputation for slowing down machines and deleting important system files for us to recommend to anyone. MacKeeper is mostly advertised as a clean-up utility to speed up your computer, but the most recent versions of the software also include some antivirus and other security features. The antivirus offering, however, is light on features. You won’t find tools like Proactive Exploit Protection, which helps fight zero-day attacks, or smart firewalls with MacKeeper. MacKeeper does, however, run analysis and publish its findings on its own Anti-Malware Lab. Though Macs are less vulnerable than PCs to viruses, by design, they can still be affected. In fact, malware attacks on Apple machines have been on the rise in recent years as the popularity of Macs continues to surge. While the best way to defend a Mac is with smart safety behavior and never downloading untrustworthy files, a good antivirus software can help. MacKeeper runs regular scans of your system to sniff out and eliminate malware, viruses, phishing attacks, and more. You can also choose to scan specific files, folders, or incoming data for potential threats, then use the MacKeeper software to remove or quarantine the malware. The annoying cousin of malware, adware doesn’t steal your files or shut down your machine, but will bombard you with unwanted advertising, messaging, and other promotional material. Like a viruses, stubborn adware can be difficult to get rid of and can hinder your computer’s performance. While MacKeeper is not an ad-blocker, it can find and eliminate any adware that’s been unknowingly downloaded to your machine. If your Mac is ever lost or stolen, MacKeeper includes some security features to help. The software will display your computer’s location, take photos through your computer’s camera to capture the surroundings or suspect’s face, and allow you to take remote control of your machine. You can do all of this through the MacKeeper smartphone app. In addition to its antivirus functions, MacKeeper boasts several features designed to speed up your computer’s performance. However, it’s important to note that cleanup utilities often do more harm than good. Being disciplined about uninstalling old apps you’re not using, regularly cleaning your desktop, and clearing old downloads can go a long way to improving performance. Mac cleaners like MacKeeper can end up compromising important system functions or deleting data you actually need for your computer to operate properly. The Memory Cleaner function shuts down processor-hogging tasks and apps running in the background of your app. It also allows you to see how much RAM and other resources different computer processes are using up and let’s you make an informed decision of which ones to quit or exit. The Smart Uninstaller gets rid of seldom used apps and functions, deletes old leftover files from previous uninstalls, and eliminates duplicate data on your computer, all in an effort to speed up performance. The Memory Cleaner and Smart Uninstaller functions are what can get MacKeeper into trouble, as many users report that the software may delete important system or program files and generally bog down performance rather than improve it. If you use a desktop email client like Outlook or Mail, certain email attachments may sometimes be saved to your computer unknowingly. MacKeeper scans for useless attachments (like logos in email signatures) and deletes them to free up storage. MacKeeper is extremely easy to navigate and use. Installation takes only a few clicks after you download the package from MacKeeper’s website. Most functions inside the software can be accessed with a single click after completing an initial scan and system clean-up. MacKeeper has come under fire in the past for being extremely difficult to uninstall. We found the latest version simple to get rid of, and MacKeeper even offers instructions on how to uninstall the app properly on its own website. Just drag the application icon to the Trash, and MacKeeper Uninstaller will prompt you for permission to delete all files associated with the software. However, to be safe, you may want to run a scan with a more reputable antivirus software like TotalAV to be sure all files have been eliminated. When it comes to support for the MacKeeper utility, users will have a few options. MacKeeper offers a remote support tool that allows customer service representatives to connect to your machine remotely and fix problems hands-on. Premium users will also be able to Live Chat with Apple Certified Support Professionals to troubleshoot problems with the utility. Details are slim and not completely transparent regarding the different licensing levels with MacKeeper. Packages start at the Basic level, which costs $14.95 per month on a month-to-month basis. From there, the Standard package costs $11.95 per month for a 6-month contract. For $9.95 and a 1-year plan, users can join the Premium license level and get access to the Apple Certified Support Professionals. It’s unclear if there are other differences in the software’s features at different membership levels beyond the pricing structure. The prices are relatively high and not overly competitive for a simple and unnecessary cleanup utility packaged with a subpar antivirus. The new owners of MacKeeper have strived to improve the software. It’s no longer a headache to uninstall, as you might have heard in the past, and it won’t bombard you with memory-sucking adware. However, there are far better and more reputable antivirus softwares available for Mac, and we’d recommend most users looking for extra security go with TotalAV instead. You can trust the Community! Companies can't ask us to delete or change user reviews. No user review found. Be the first to review MacKeeper! Your Email* This is just for security measures. Your email will not be used or published.